Yes, a Tesla is a great-looking car, but did you know they outsell EVERY other luxury car brand WITHOUT any advertising? The church can learn something from how they do it. Did you know that Tesla sells more luxury cars than any other company? I was surprised when I read that statistic, but even more interested when I read how they did it. 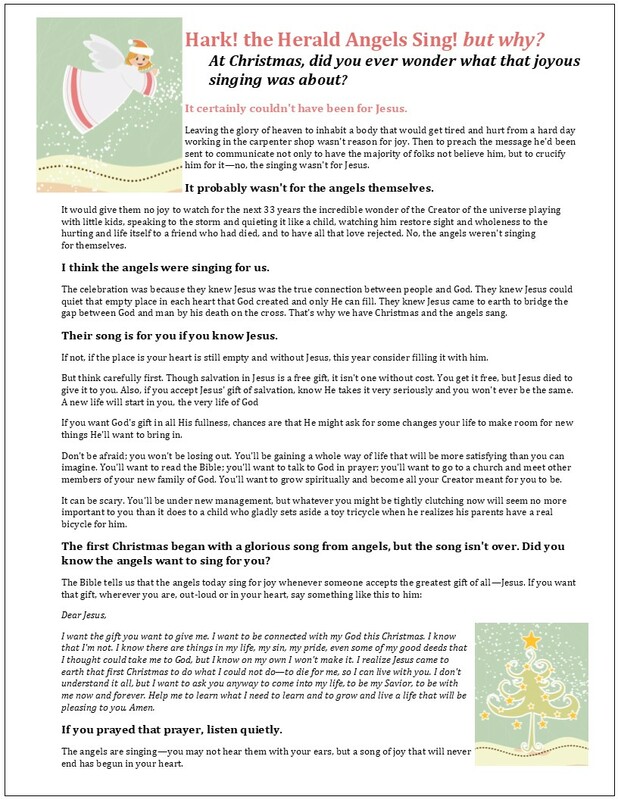 Let me share the terlerati.com comment on it, a chart that illustrates their success, and then I'll talk about how this inspired me about discipleship and church marketing. Then I've got some spiritual challenges for you and then at the end of this some practical tools you can use to put into practice to make your seasonal marketing more successful than ever. Quickly, name one advertisement you’ve seen recently from Tesla Motors themselves? OK, name any advertisement you’ve seen from the company, ever? Tesla’s marketing strategy is as disruptive as its business model. It lets you and I advertise for them, for free. . . . . Tesla does not spend millions of dollars in a traditional ad campaign. They let you and me discuss it, rave about it, hate on it, or rejoice in the spirit of going electric in a Tesla, be the catalyst to a viral and brilliant marketing campaign. At the end of the day, Tesla advertising is free. 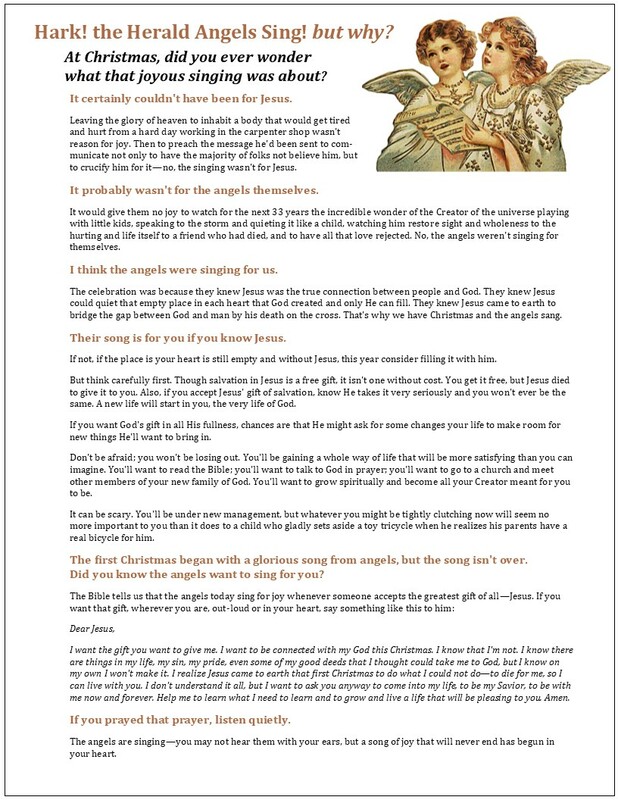 PODCAST: Christmas Letter in Audio format–Hark the Herald Angels Sing, but WHY? 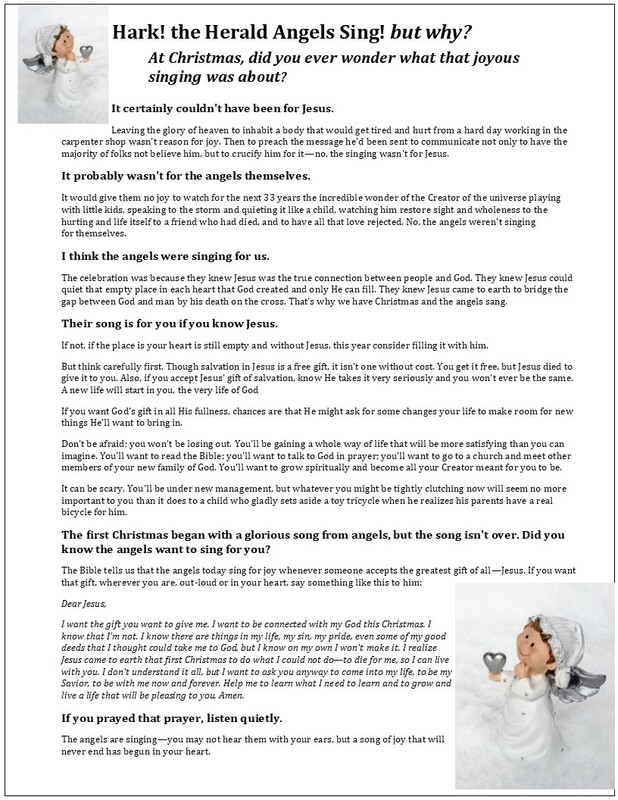 This Christmas letter/flyer/gospel sharing message has been downloaded hundreds of times and can be used in many ways during the Christmas Season. And NOW I have it for you in AUDIO FORMAT! 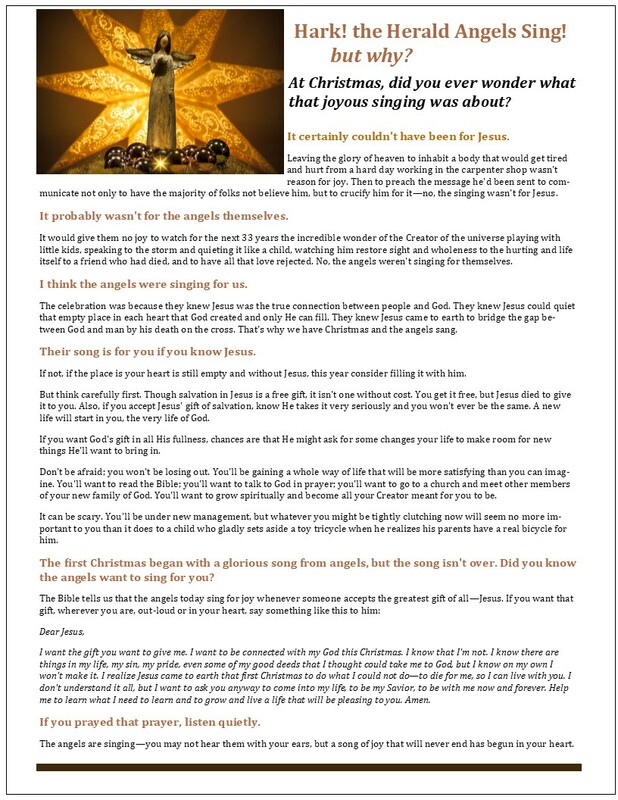 Please listen, be encouraged and download and share.